The former breakaway republic remains in a state of flux and uncertain about it relations with both Russia and Georgia. 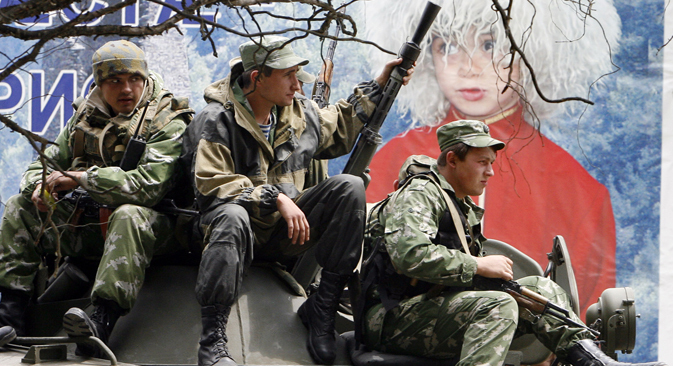 Five years ago, the ‘Five-Day War’ began in South Ossetia. The end result of the conflict was eventually the independence of South Ossetia and Abkhazia. Today, the center of the South Ossetian capital Tskhinvali presents a nice picture, but a deeper look into the city shows that the recovery process is still far from complete. Many residents have spent years in buildings ruined during the war. After the war, Russian authorities created a number of federal funding and reconstruction plans for South Ossetia, but these were frequently changed and involved a number of intermediaries. The resulting unfinished construction has been a source of irritation for locals. Today, most government spokespersons, in one way or another, are no longer concerned about external threats, but internal ones. Sergey Zasseyev, chairperson of the Committee on Youth Policy, said that while South Ossetia had a common enemy in Georgia, the society was united but now that security is guaranteed by Russia, society is fracturing. Zasseyev cited the “huge number of political parties” as proof of this. Political scientist Alina Dzhioyeva countered Zasseyev, saying that the wide range of political parties indicates the formation of an active civil society. “We will be holding parliamentary elections in one year, and already 15 political parties have been registered – people are trying to organize and then somehow influence the current political and economic processes,” Dzhioyeva said. Society still perceives Russia as a country that has recognized the independence of South Ossetia and freed its people from the horror of war and uncertainty – and for this, its citizens consistently express gratitude to Russia. Almost all residents of Tskhinvali say that the main achievement of the last five years was the ability to sleep peacefully, without fear of another war breaking out. “The recognition of our independence by Russia was important, first of all from the point of view of the moral-psychological factor,” said Irina Gagloyeva, director of the IR Media Center. “Russia has given us a chance for a future.” However, Gagloyeva believes it is too early to relax, since South Ossetia still faces many threats. For example, it has not been recognized by most of the world, and Georgia has not given up its hopes of getting the republic back – both of which contribute to an overall feeling of uncertainty about the future. “Today, I see all the elements of national psychological depression – people do not believe in themselves, have no confidence in their society, their leaders, and their country. Life goes on by inertia, with no activity. Perhaps this is due to the fact that the economy is not developing – we are seeing complete economic stagnation,” Gagloyeva said. Officials in both South Ossetia and Moscow have promised that the republic’s economy will get a boost, and by the beginning of 2014, it will be possible to talk about new socio-economic development. Meanwhile, relations between South Ossetia and Georgia remain extremely tense. On the South Ossetian side, a process of strengthening the border has been going on for several months. Georgia has complained loudly, saying that Russian border guards have moved the boundary line deep into its territory. South Ossetia has countered with the argument that this is simply the process of demarcation. According to Alla Dzhioyeva, today, in the absence of official relations between Tskhinvali and Tbilisi, relations are occurring at the level of ‘people’s diplomacy’. Tbilisi is geographically closer than Vladikavkaz, and in winter, when the Trans-Caucasus Highway is fully covered by snow, the country, for a few days, becomes cut off from Russia. This story has been abridged from the original version, which can be read in Russian in Kommersant-Vlast.